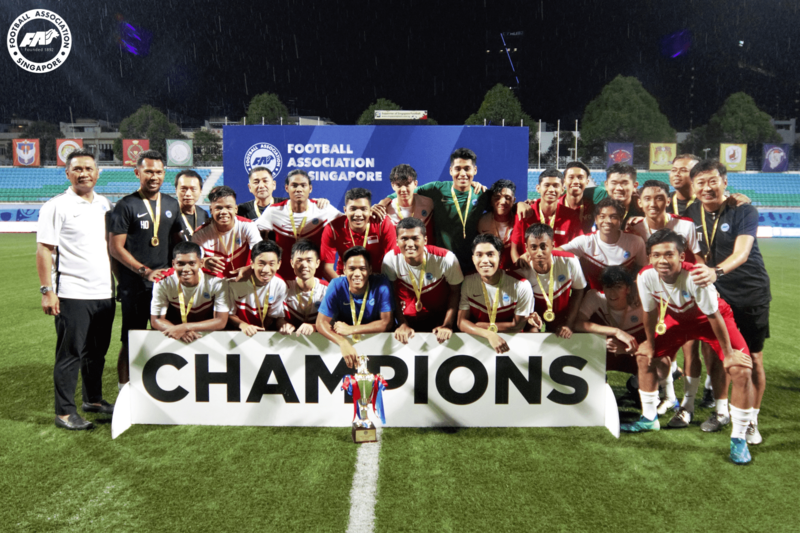 SINGAPORE, 11 OCTOBER 2018: The Football Association of Singapore (FAS) Football Academy 18 lifted the Centre of Excellence (COE) Under-19 Challenge Cup after claiming a 2-1 win over Tampines Rovers FC Under-19 tonight at the Jalan Besar Stadium. The third placing match, which took place at the same venue yesterday, saw Home United FC Under-19 beat FAS Football Academy (FFA) 17 3-1. The teams were presented the trophy and medals by FAS Vice President Mr Razali Saad who congratulated them for their good showing in the competition and encouraged the teams to keep working hard. Besides the trophy and medals presentation for the COE Under-19 Challenge Cup, prizes for the COE Under-19 League and COE Under-16 League were also presented.